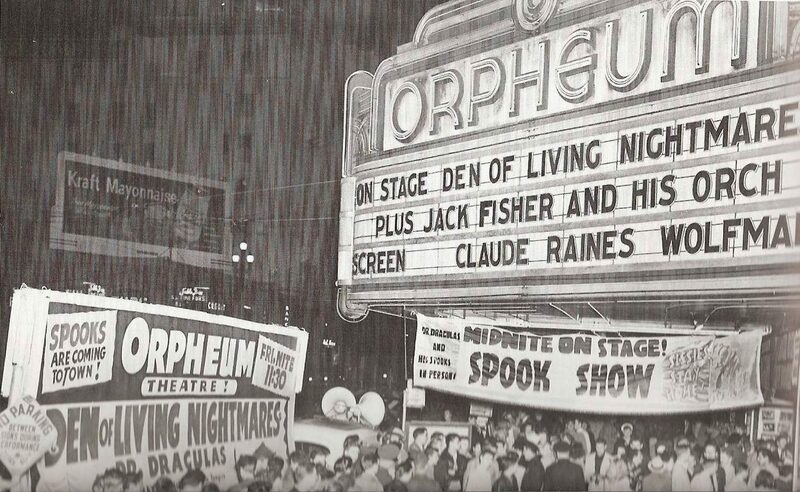 The terrifying tradition of late night spook shows! It’s finally October! Time to rush to Target to get anatomically inaccurate bats and cats and redecorate your house with wonderfully creepy ornamentation. Time to get out the calendar, plan the all-nighters, figure out what films are going to be watched each day of the month and see just what monstrous delights this Halloween season has in store for us! But what if we didn’t exist in present-day 2016? What ghostly and mysterious pleasures might we have been able to experience in days gone past? 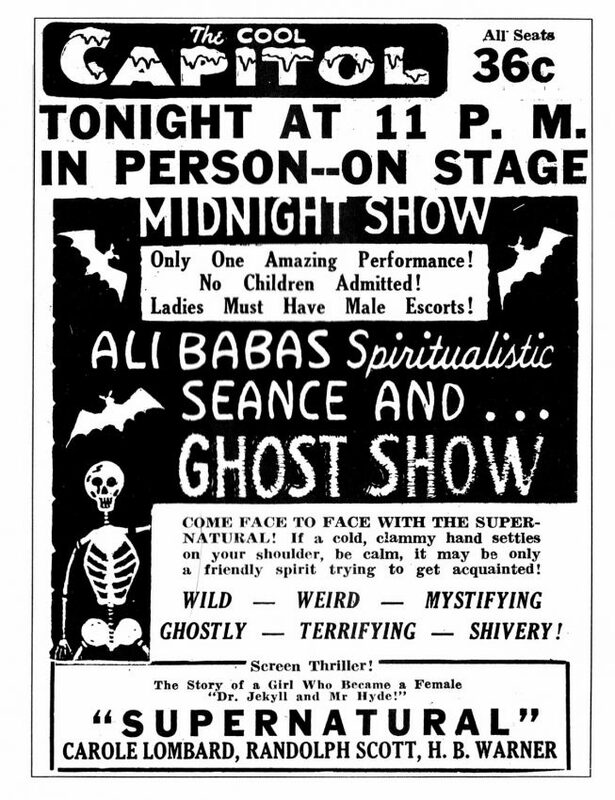 While many audiences were simply enjoying the spectacle of cinema itself, there was a wholly different kind of entertainment that developed based upon early 20th century interests in spiritualism, magic and eventually horror and gore: the ghost show (also known as the spook show). The leaders of this movement created a scene that, to this day, has never been matched and will always be remembered. The ghost shows were incredibly powerful entertainment vehicles, allowing audiences (mostly younger folks) in the 1930s to escape the horrors of the Great Depression and become obsessed with a different kind of horror: ghosts and psychic energies. 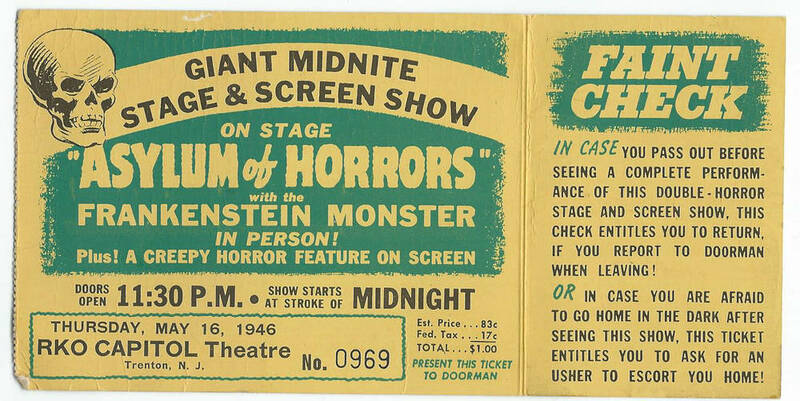 These first shows centered primarily on magic tricks like the “floating table” or the “dancing handkerchief” but would end with the blackout / “dark séance” during which time the lights would be darkened completely and phantoms / creatures would appear to the audience! These “beings” would sometimes go so far as to touch or brush by viewers, causing quite a reaction! The lights came back on after a bit, and the ghost host / magician said adieu and the film (generally a “B” Horror from Columbia, Monogram or Universal) began. 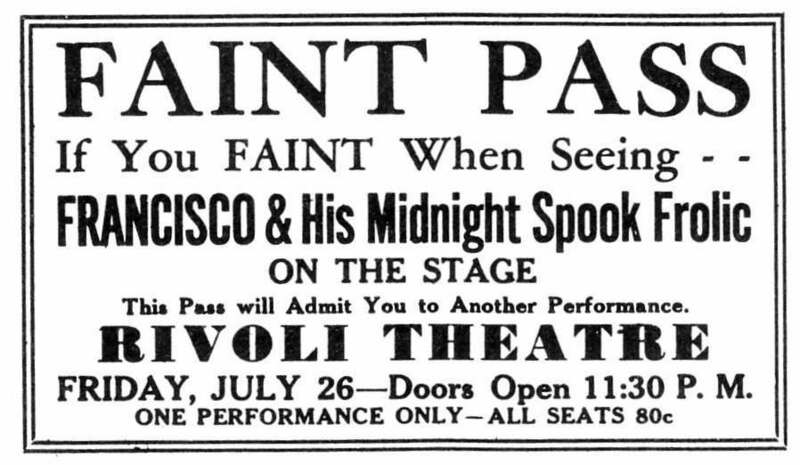 The primary reason that ghost shows survived for as long as they did was because they pioneered the idea of the midnight showing. As far back as the Great Depression, this was the best way for these events to really turn a profit for the theaters and bring in young excited fans. Let us take a moment to revere the many glorious and beautiful movie palaces across the United States, many of which sadly no longer exist, where these shows were a regular attraction. These large houses would be filled on those midnights. Can you imagine the sound of teen screams during the “blackout” when floating bats and skeletons passed through? What a wonder that must have been! 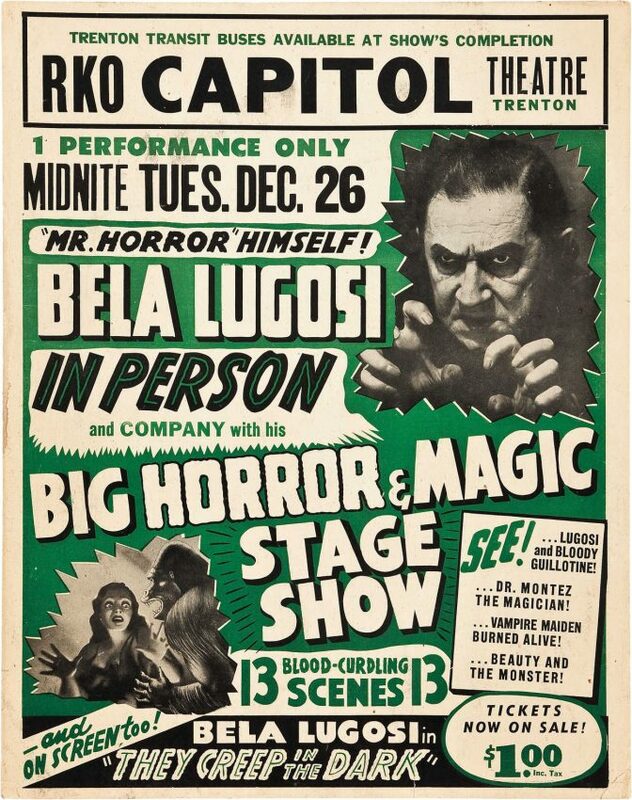 The economics of an after-hours show was wonderful for these theaters: it was a time that they wouldn’t have been getting any business so the idea of some crazy magician guy coming in with an act and an extra screening? Hell, why not? 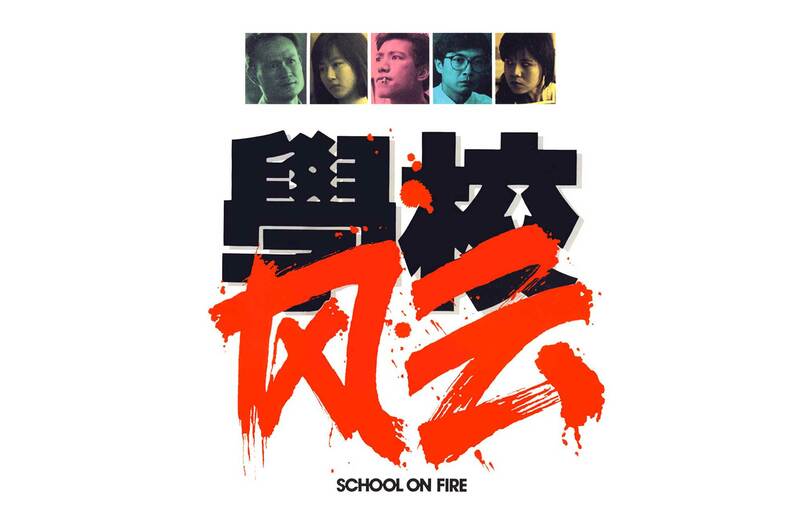 The end result became a smash-hit. 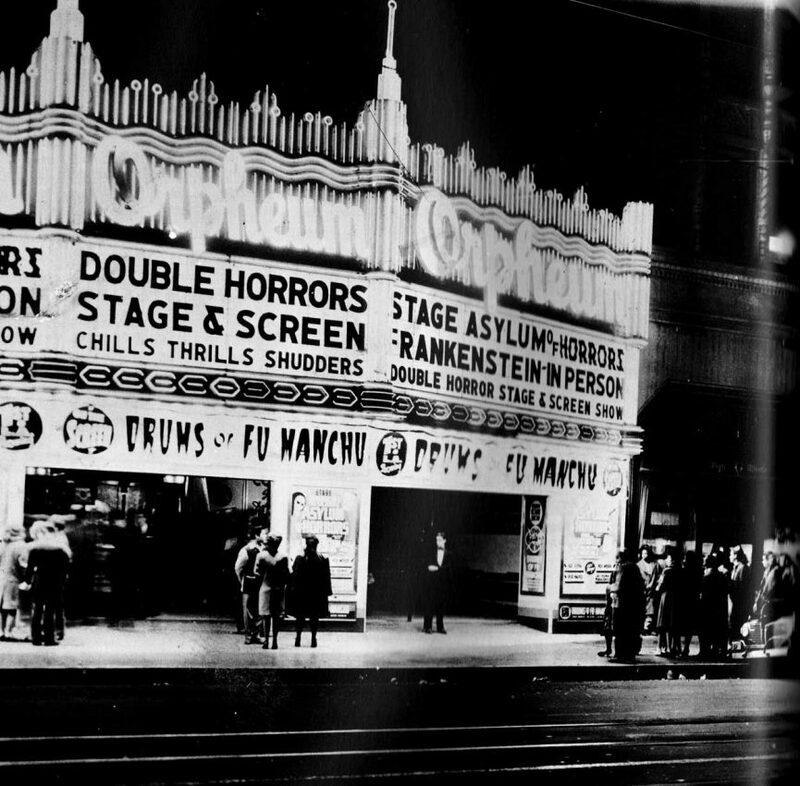 During the Depression, these theaters were able to do a week’s worth of business in a single night for a midnight show. This, of course, set the stage for the remainder of the ghost show timeline as it evolved into the horror show and moved through all kinds of different aspects of film, magic and horror technology and culture for the next 30 years. It also set the stage for the Midnight Show as we know and love it today. Thank you ghost shows! As life changed, so did the performances and (of course) the content. The spook shows, once traveling “one-nighters,” became subject to the same kinds of limitations as everyone else during WWII. Unable to go from theater to theater based on the high gas prices, or even perform due to the shortage of magnesium and flash powder needed for special FX, many shows and ghost hosts left the haunting business. But as they say, the show must go on. And it did! This was actually another perfect time for audiences to attend horror-based cinema. Much like the Depression, who wanted to look to the realities of war when they could look to the fantastical appearances of film horror? At its heart, this is one of horror’s greatest gifts: the ability to leave the unresolved horrors of the world and see some (perhaps oddly) resolved horror on-screen. 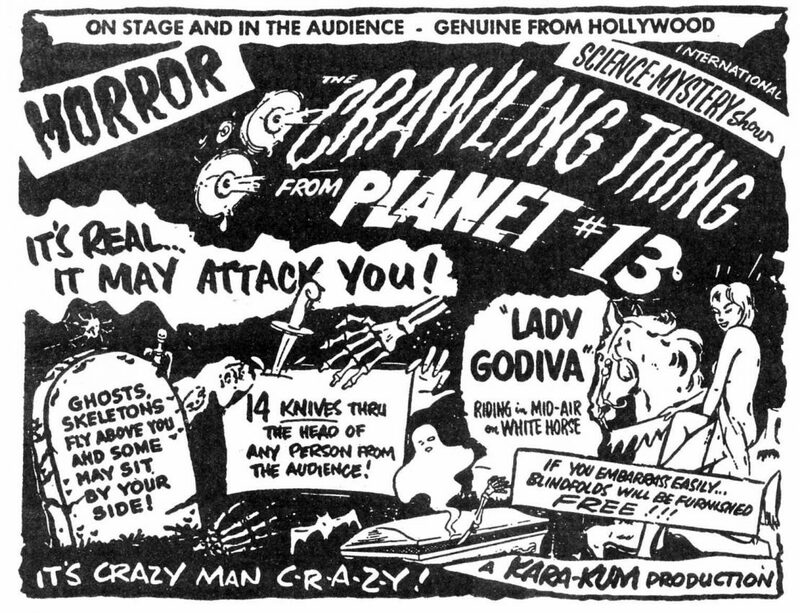 So from the 1940s onward, the horror show became a dominant force in entertainment. Mentalism was out, monsters were way in. The Universal horror monsters became mainstays and this welcomed a time and set of performers and shows that have been imitated many times since, but will never ever have the same strength as the horror and thrill shows of the 1950s and 1960s. These midnight marvels and their accompanying extravaganzas were one of the most extraordinary things that we ever produced in the way of linking horror with theatrical exhibition and it is only fitting that for Halloween this year, we talk about a few of the groundbreaking folks and their shows to give you a sense of that thrilling time. Let us first give some credit where it is due and say thanks to El-Wyn aka Elwin Charles Peck who asserted that he was the founder of the midnight ghost show, circa-1929. For all intents and purposes, his was incredibly popular, and showed fun horror of the time like The Bat starring Lionel Atwill and Fay Wray and advertised on his posters that they would not sell tickets to children. 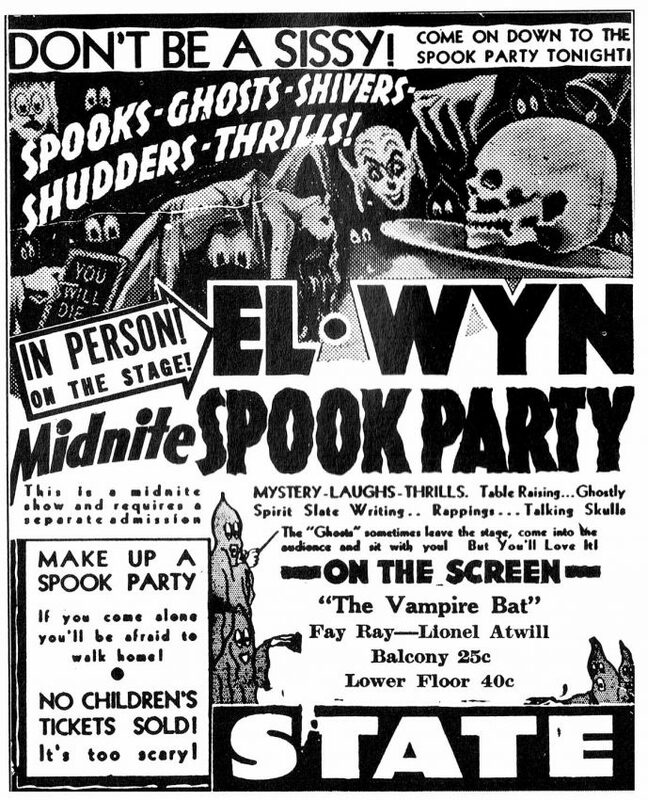 “It’s too scary!” El-Wyn retired from the business in the late 30’s, but it was his advertising and his wild sensibility and much acclaimed “Midnite Spook Party” that really made a huge difference. There were incredible ghost hosts during the 1930s and 1940s – Greystoke (endorsed by El-Wyn), Francisco (famous for spirit paintings and “Francisco’s Midnite Spook Frolic”), Herman Weber (apparently if his “Midnite Voodoo Party” couldn’t scare you, you simply were unscareable!) and many others. But some of the most visually stunning, creative and boundary pushing spook show creators really were in the post-WWII era. If you needed a Doctor of Horror anytime from the 1940s onward, call Dr. Silkini. Dr. Silkini’s shows were the most famous and popular, breaking box office records for 50 years! Dr. Silkini himself aka John Edwin Baker (born John Kessler) began as a solo magician but teamed up with Wyman Baker down the line due to a mutual love for the supernatural. Their initial thrust was the mix of horror and comedy, and lived by the slogan: “it’s not what you make, it’s what you don’t spend.” Their show, “Asylum of Horrors” had some funnies in it, but it certainly had blood, chopped-off limbs and the traditional blackout with floating creepy crawlies! What ended up becoming a trademark of the Asylum of Horrors (and set it apart) was the introduction of Art Dorner, Boris Karloff’s actual double from Frankenstein (James Whale, 1931). He was an incredible make-up artist and became a major part of the midnight show, netting the team more money and giving the show a highly more viable scare vibe. The audience was terrified when that actual monster started walking towards them…and then they killed the lights! Unfortunately, that trademark was someone else’s. In 1943, after a huge set of shows at the Orpheum in Los Angeles, Baker got a restraining order prohibiting the use of the licensed property from Universal. Because the Frankenstein figure was such a critical aspect of the show, Jack Baker fought it in court and lost. That loss was not for long- Dr. Silkini and Co. performed the ghost show for the studio execs and won their scary little hearts! They realizing what great promotion this actually was and allowed the Asylum of Horrors to continue the Frankenstein monster gimmick. One cannot discuss this topic without mentioning Ray-Mond, aka Raymond Corbin. 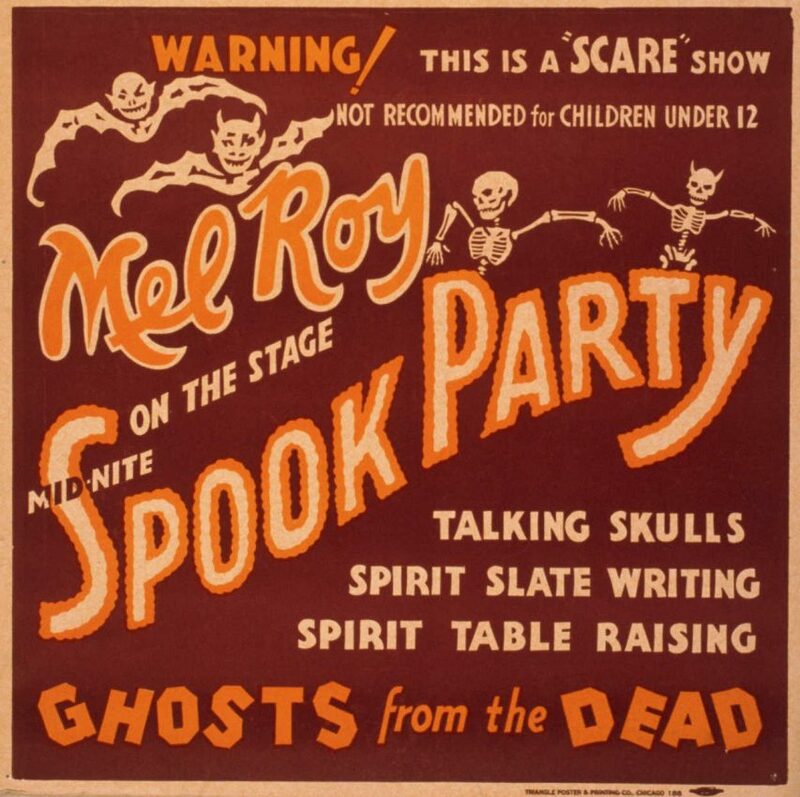 His three shows- “Ray-Mond’s Ghost Show,” “Zombie Show” and “Zombie Jamboree” were epic uses of the adolescent energy of the post-WWII period, horror cinema and stage performance. It was a wild show every time! He had gory special effects and magic tricks! 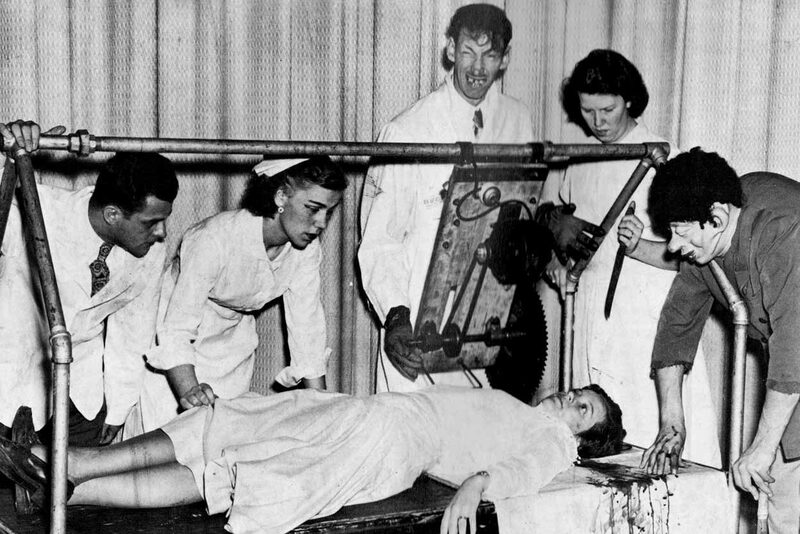 Severed heads abounded and “live” medical procedures on stage (playing into the mad scientist vibe, as Ray-Mond had turned into a Dr. Jekyll character on stage) with a buzz saw. Beautiful women participants, floating bats/skeletons in the dark, off the wall magic tricks and then, finally, you would get to watch films like I Walked With a Zombie (Jacques Tourneur, 1943). Not only that, but you might have been greeted with a fabulous lobby display such as a coffin and monsters surrounding it! As Ray-Mond traveled, said coffin was the victim of multiple teen escapades which only resulted in better publicity for his show. The coffin was stolen, found, but without the mummy inside! Oh dear! There are an infinite number of people to mention. You could spend an entire evening talking about Card Mondor and his relationship with Kroger “Mom and Dad” Babb and Kroger Babb’s involvement in the scare circuit. You could talk about all the people who were copycat El-Wyns or the critical importance of the publicity machine or the ghost-shows that happened at the Drive-Ins! This is one of the richest and most wonderful parts of our horror cinema history. 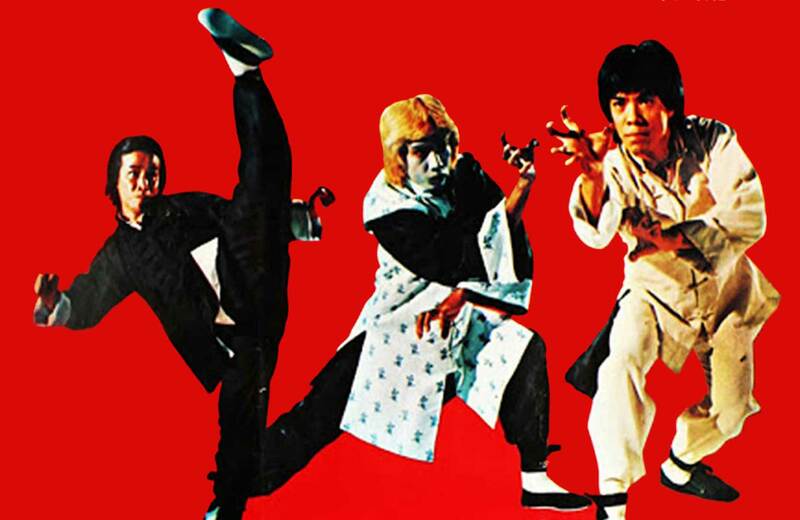 It contributed to our midnights, our horror comedy and our repertory world, all things that are being lovingly showcased at the New Beverly Theater this month. Happy Halloween everyone! Let’s get scared!!! To read more, we highly recommend the book Ghostmasters by Mark Walker, the source for many of the excellent photos in this piece.